Most MCAT prep books do little more than list and explain terms and equations selected from science textbooks that you probably already own. Memorizing the entire content of such books is unlikely to significantly improve your MCAT score because the MCAT emphasizes the understanding of concepts over the memorization of terms and equations. This book goes beyond a typical textbook in its explanation of basic science. Drawing from his extensive MCAT experience, Jonathan Orsay offers insight into the concepts behind those terms and equations. 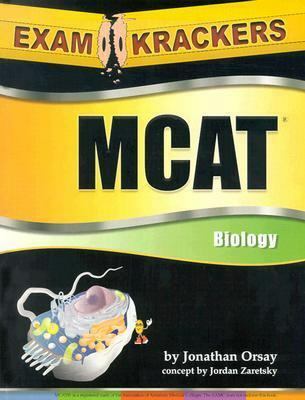 This book will teach you how to think MCAT.Orsay, Jonathan is the author of 'Examkrackers:mcat-biology' with ISBN 9781893858251 and ISBN 1893858251. Loading marketplace prices 1 copies from $35.58 How does the rental process work?